James Charters and Sally Staveley, winners of regional volunteers awards. 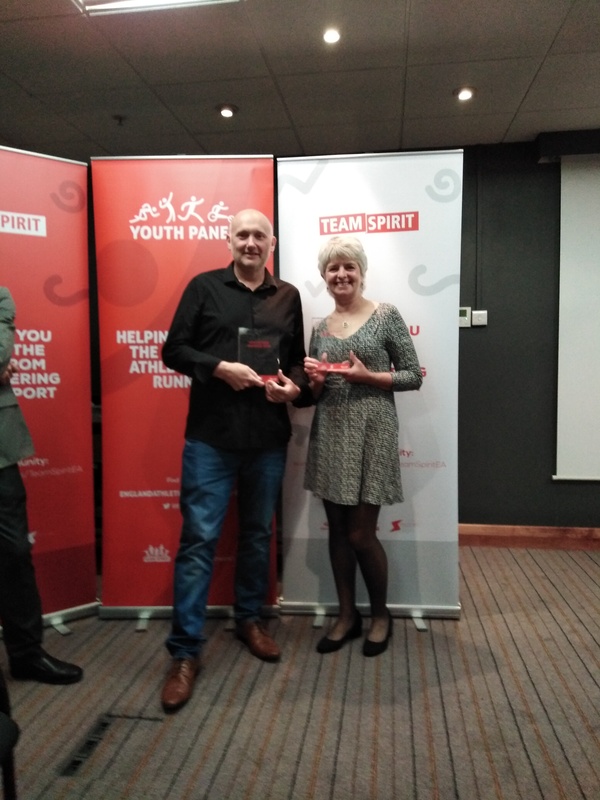 The hard work and commitment of two stalwart members of the Worksop Harriers club has been rewarded by accolades at the England Athletics Regional Volunteers Awards. James Charters, the club’s most qualified field judge, was named official of the year for the East Midlands after officiating at the highest level at many meetings around the country. Sally Staveley won the Run Together leader of the year award for all her work with the club’s Sisters On Sunday (SOS) and Couch To 5K running groups. Run Together offers friendly, non-competitive mixed sessions on Tuesday and Thursday evenings at Manton Sports and Social Club on Retford Road. The SOS ladies’ group meets at various locations around Worksop during the summer, to take advantage of the countryside and trails, and at Worksop Leisure Centre during the winter.